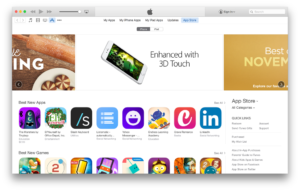 App Hacks: How To Get Your iOS App Featured On Apple App Store? Welcome to our new App Hacks series. In this series we will cover tips build better apps, scale them up faster, and maintain success. Our first post in this series is about how to get your iOS app featured on the Apple App Store. When you finish developing your app or if you’re launching a new version, you face another challenge: getting more users. And where to find that better than the front page of the App Store, right? But with more than two million apps competing for these spots, yours has to really stand out. You can’t expect a bad quality app to get featured on the most selective app store in the world. Building a high-quality app is the most fundamental step to get your app featured on the App Store. And even if you didn’t pitch your app to Apple to feature it, your app can still be selected by the App Store review team just for its high quality. They’ll reach out and ask you to get your marketing media ready to be featured on the App Store. Differentiation has been one of Apple’s main strategies for their products since the company was founded. So they want the apps that will run on these products to be built exclusively for them. This makes going native and not cross-platform in developing your app the right choice if you want to double your app’s chances of being featured. Following all the App Store Marketing Guidelines, such as creating a press kit, telling an original story about why the app was created, and adopting a clear and simple messaging and writing style in your communications. Making your app universal for all iOS products, with localized languages and helpful accessibility support. Follow these guidelines and your app will come a step closer getting the App Store editors’ attention. We know that it may sound like an obvious point, but this may be the only thing that prevents your app from getting featured. Considering updating your app one to four times a month. Apple announces new products and features early to developers to make use of them. Therefore, it’s always better to make your app compatible with the latest Apple products and iOS features as soon as possible, such as 3D Touch. This could be the main reason why Apple will feature your app as this is a way for them to returning the favor to you for using their latest technologies. The App Store has high standards when it comes to the apps in it, and of course Apple wants to keep these standards. 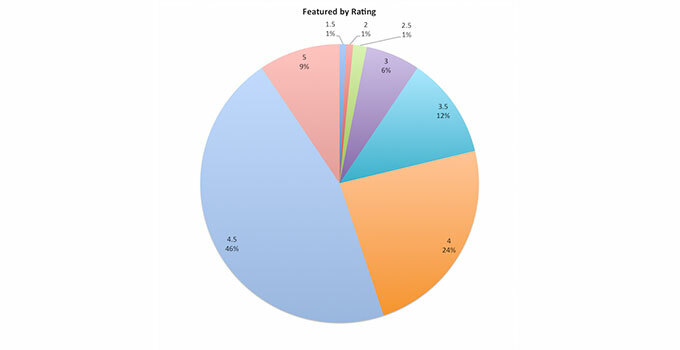 It’s always better to keep your app rating and reviews positive, in fact above four, if you want your app to get featured on the App Store as the chart shows below. Getting your app featured is undoubtedly a very important thing to focus on after your app is mature and has an initial user base. But even before you reach these milestones, aim high and set a goal for your app to be used by hundreds of millions of users, and even reach a point where people buy a specific smartphone especially to use your app. Also bear in mind that the App Store editorial team updates the “Featured Apps” section every Thursday, so make sure to start preparing for the party on Wednesday! WHILE RACING TO GET YOUR IOS APP FEATURED ON THE APPLE APP STORE, TRY INSTABUG TO HELP YOU WITH IN-APP FEEDBACK AND BUG REPORTING IN ORDER TO KEEP YOUR APP RATINGS HIGH AND FEEDBACK POSITIVE (IT’S FREE TO SIGN UP! ).